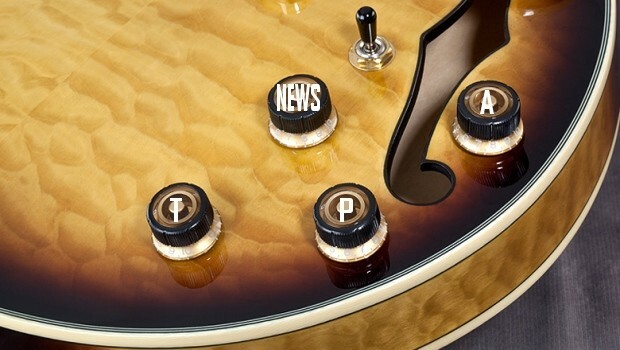 Latest Prog News from across the progressive rock spectrum & updated throughout October 2018. 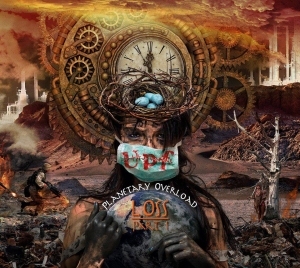 GEP announce the release of United Progressive Fraternity (UPF) new studio album, Planetary Overload in early 2019. Fronted by Mark Trueack and Steve Unruh, UPF is a global collective of international artists, musicians, arrangers and producers who are ‘passionately committed to empowering change in the world by leading an artistic & musical movement dedicated to sustainable environmental practices’. 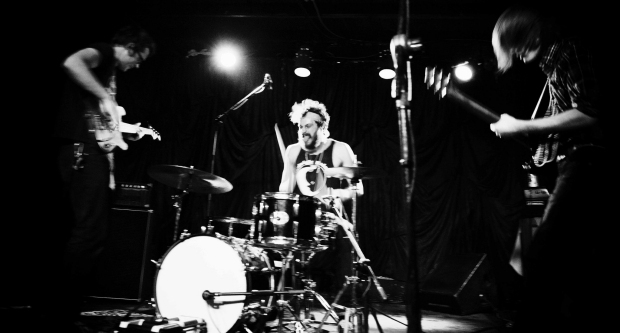 All Them Witches have announced that they plan to move forward as a power trio for the foreseeable future. Since our formation, the one goal I have had for this band is to be open, vulnerable, and willing to love and adapt to change as it presents itself. In a brief statement on his Facebook Page long standing drummer Gary O’Toole announces his departure from the Steve Hackett Band. “It is with immense sadness I must announce my departure from The Steve Hackett band. It has been my privilege and pleasure for nearly 20 years to hold this chair. After a conversation with Steve it became clear we had come to a parting of the ways. It will I feel be for the good and benefit of all concerned. On this occasion I will stand and wave the guys off and hope they do well, I know they will. They have been my road family for so long I shall miss them but things need attending at home. Some of you are aware of the horrid year I have had personally. I shall devote more time to my school in developing the new environment and also my online school. While also finding a new studio and finally getting to grips with writing my own material. 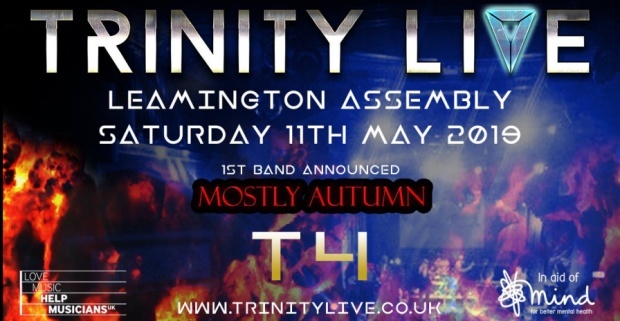 Trinity Live have announced that Mostly Autumn will be the headliners at next year’s Trinity 4 charity event, which takes place on 11th May 2019 and will once again be held at The Assembly, Royal Leamington Spa. Five more bands will be announced in the coming weeks… and tickets will go on sale at 10:00 on 2nd November 2018 – including an “Early Bird’ discount. 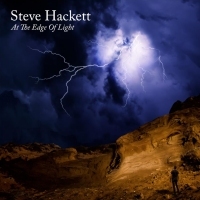 Following the success of last year’s The Night Siren, Steve Hackett has announced the release of his new studio album At The Edge Of Light, scheduled for the 25th January 2019. Arena have released a video for Poisoned, a tribute to those that we have lost. Tickets go on sale 26th October 2018 at 10:00. 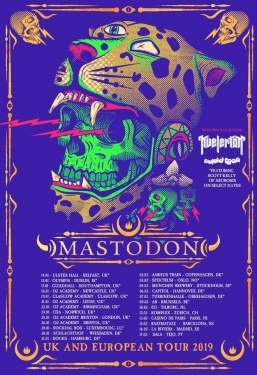 Full details can be found on the Mastodon Tour Page. In Continuum release Scavengers taken from their forthcoming album Acceleration Theory Vol. 1, scheduled for release on 2nd November 2018. In Continuum take over from where Dave Kerzner and Matt Dorsey left off with their band Sound of Contact. Acceleration Theory Vol. 1 is a sci-fi concept album and also features Gabriel Agudo, Nick D’Virgilio, Leticia Wolf with special guests Steve Hackett (Genesis), Steve Rothery (Marillion), John Wesley (Porcupine Tree) and more! The video features the studio album audio, with live visuals by Matt Urban, Erik Nielsen, Hal Feldman and screen projection visuals created by Christine Leakey. The Pineapple Thief, who have just returned from the first leg of their Dissolution tour, announce new dates for 2019. The band will once again be joined by Gavin Harrison. Roine comments: “Lost America is one of the longer tracks on my new album – it goes through a series of melodic themes and riffs – most of them familiar in style from the vast Flower Kings catalogue of course. The song, and much of the album, is interesting in the way it has fragments drawn from different periods of the last 25 years – song ideas that were never fully developed or utilized – even if parts may have been already on the table for both The Flower Kings and Transatlantic. This particular song is kind of two songs – the first a melodic prog jigsaw – while the latter is a more straight riff-based tune – I do the lead vocal but both my brother Michael and Hammond dude Max Lorentz do quite a bit of backing me up with hairy vocals – Marco Minnemann on drums and Jonas Reingold on bass. 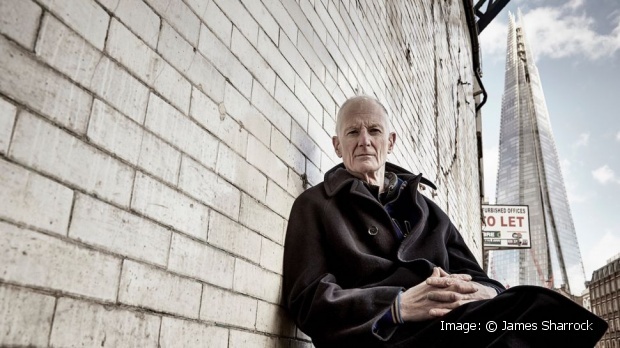 Peter Hammill has announced he will be releasing a new live album X/Ten, through Fie! Records on 30th November November 2018. The songs, taken from his most recent studio album, From The Trees, were recorded during his 2017 and 2018 live dates. Following on from the remastered re-issues of his first four studio albums in 2017, (read more HERE of TPA), multi-instrumentalist Alan Emslie returns with his first solo recording in thirteen years. UMÆ announce the release of their debut single, Turn Back Time, taken from their upcoming debut concept album Lost In The View, and features Icelandic singer Hulda Kristin Kolbrunardottir. “Turn Back Time was written in a batch of songs I’d been compiling, hoping for a future album back in 2009/2010,” Cliplef told Prog. 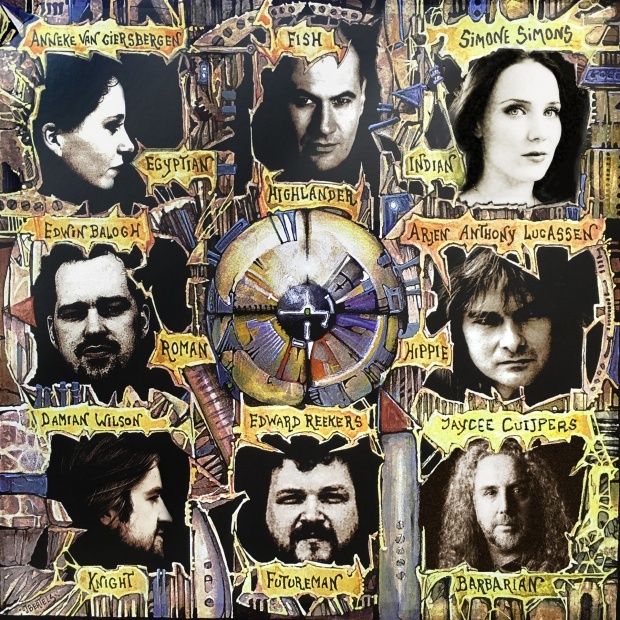 “I was listening heavily to Transatlantic’s The Whirlwind and loved the powerful, anthemic themes and the prominent influences of older bands like Yes, Rush, and Genesis, which, to me were heavily present in their music. When the opportunity arose to go to Iceland and write and demo music with Guðjón, I proposed this track. The themes from this song ended up becoming the glue that binds this album together, both musically and lyrically, manifesting itself in different ways at various points in the album.” Continue reading HERE. The album will be released in early 2019 and features guest appearances from Adam Holzman, John Wesley and Conner Green. The Neal Morse Band will release their double concept album, The Great Adventure, on 25th January 2019, through Radiant Records/Metal Blade Worldwide. Following the release the band: Neal Morse (lead vocals, guitars, keyboards), Mike Portnoy (drums, vocals), Randy George (bass), Bill Hubauer (keyboards, vocals), Eric Gillette (guitars, vocals) will embark on an extensive World Tour in support of the album. Full details can be found HERE on the band’s tour page. Ian Anderson announces ‘The Ballad of Jethro Tull’ the first official Jethro Tull book – described as “an illustrated, oral history of the band”. 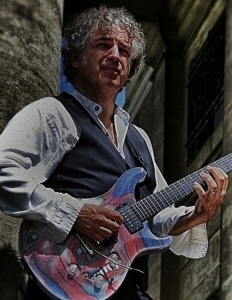 Singer, songwriter, producer, and multi-instrumentalist Jakko Jakszyk recently discussed the possibility of the band’s latest line-up recording a studio album, saying there was sufficient material to do so, although the final decision rests with Robert Fripp. King Crimson embark on the ‘Uncertain Times’ tour later this month and Jakko spoke, in depth with Music News’ Cliff Smith about all things Crimson. You can read the full interview HERE. 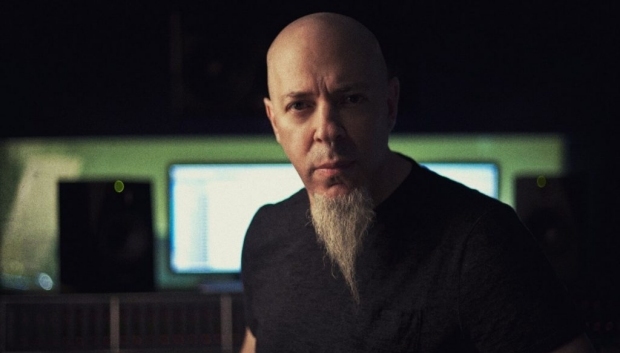 Keyboard maestro, virtuoso musician and composer Jordan Rudess starts his “From Bach To Rock” tour next month, which will take him across 3 continents during November and December. The solo tour will feature the music of Dream Theater re-imagined for the piano. Full venue details can be found HERE on the Jordan Rudess Tour Page. Twelfth Night reveal that they have been recording at Mark Spencer’s Dysfunction studio and at Karl Groom’s Thin Ice. They also reveal that they have been recording the very first studio version of Sequences, which will be released next month, on a new studio album – their first since 1986. Brian Devoil comments: “As you know, Sequences was originally written and performed as an instrumental track but developed into the finale to the band’s live sets in the 80s with lyrics and vocals by Geoff Mann. It tells the story of a young soldier going off to fight in the First World War and returning home a changed person. The time felt right to fill this major missing piece of our musical output and commemorate the centenary of the end of the First World War”. “I had prepared a working version several years ago to help me learn the various parts to play live, so we were able to use this as a starting point,” explains Mark Spencer, who sang the song with the band on our most recent live performances between 2012 and 2014. “We have taken the opportunity to expand some sections, Mark has added some fantastic orchestration, and there may even be some surprise guests involved,” adds guitarist Andy Revell. 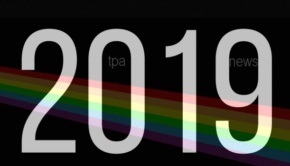 Currently on a series of USA dates, Carl Palmer’s ELP Legacy announce four UK dates in January 2019, ahead of the first leg of their European tour during February and early March. All dates can be found on the Carl Palmer Tour Page. Former Karnataka drummer Jimmy Pallagrosi’s ZIO, have released the first single, X-Ray, taken from their forthcoming debut album. The video features the edited single version of X-Ray, with performances from both Joe Payne and Hayley Griffiths on vocals. A full length version of the track will appear on the band’s debut concept album, Flower Torania, which will be officially released on 21st October 2018 at the band’s release show. MoonJune Records reveal FREE live stream of Soft Machine’s Iridium NYC concert this Friday – 12th October 2018. Follow this LINK to the live stream event! Ahead of their European and UK tour, starting next month, TesseracT have released a new video for Juno, taken from their recent Sonder release. TesseracT head out at the beginning of November with dates in Germany, The Netherlands, Belgium, France, Denmark, Norway, Sweden, Austria, Switzerland, Italy, Luxembourg, before arriving in the UK & Eire for six shows. 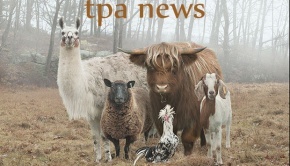 Click HERE for all the dates | Click HERE to visit the TPA Gig Guide for all the UK & Eire dates. 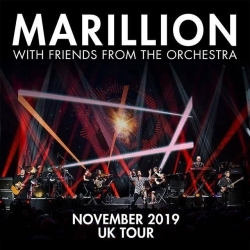 Marillion have announced a thirteen date UK tour in November 2019, which coincidentally will mark 30 years since Steve Hogarth joined the band. The shows will feature the In Praise of Folly String Quartet, plus Sam Morris on French horn and Emma Halnan on flute. Pre-sale tickets will be available via Planet Rock from Thursday 18th October and on general sale from Friday 19th October 2018. Heather Findlay announces the release of her latest studio album, Wild White Horses with teaser trailer. For this release Heather has collaborated with Luke Morley, who also produced the album, which was recorded at the Rockfield Studios in May this year. No official release date has been announced, but is slated for Spring 2019. 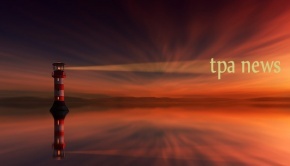 The Heather Findlay Trio will be on the road during late November and December – visit the TPA Gig Guide for all of these dates. Canadian multi-instrumentalist Lucas Lee announces a new album, featuring drumming virtuoso Marco Minnemann. The six track, 42-minute instrumental rock fusion/progressive rock album, entitled Lowered Expectations, is scheduled for release on 18th October 2018. The new album features a mixture of virtuosic playing via friendly cohesive interactions between Lee and Minnemann, with various stretches of melodic journeys. The compositions also consist of an assortment of experimental moments, sprinkled with blends of accessible motifs, and at times, with mischievous twists. 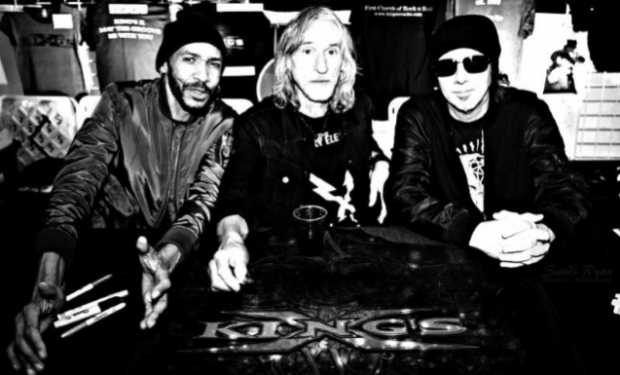 King’s X sign to independent Australian record label, Golden Robot Records, for the release of their first studio album in over a decade. The follow-up to 2008’s XV, sees the band remaining in tact with vocalist/bassist dUg Pinnick, guitarist/vocalist Ty Tabor and drummer/vocalist Jerry Gaskill, a rarity in the music world and a testament to the band and musicians and friends. Pete Jones (Tiger Moth Tales) reveals Toad of Toad Hall video from the forthcoming Story Tellers Part Two album scheduled for release on 26th October 2018. Earlier this month Pete released the beautifully animated video for Match Girl – the video can be viewed further down this post. 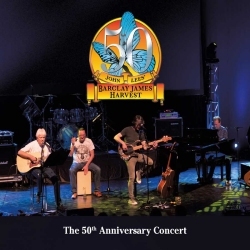 Cherry Red Records (Lepidoptera Records) announce the release of John Lee’s Barclay James Harvest – The 50th Anniversary Concert as a 2CD plus DVD set on the 23rd November 2018. The concert, which was recorded at the Royal Northern College of Music (RNCM) in Manchester on Sunday 6th May 2018, will be released as a 3 disc digipak featuring the entire concert both in sound and vision over two CDs and a DVD. “The concert was very much a gathering of the faithful from all over the globe and was a truly unique performance which saw BJH founder John Lees with Craig Fletcher, Jez Smith and Kevin Whitehead perform songs written over five decades. Rush will release a 40th Anniversary edition of their 1978 Hemispheres album on 16th November 2018. Earlier this week it was revealed that Geddy Lee would be releasing the Big Beautiful Book of Bass, a 408-page book that profiles his love of all things bass and his personal collection of vintage electric bass guitars, dating from the 1950s to the 1980s. As previously announced The Tangent will be releasing their 10th studio album Proxy, on the 16th November 2018, via InsideOut Music. Today sees the launch of the audio/video for A Case Of Misplaced Optimism, taken from the forthcoming release. 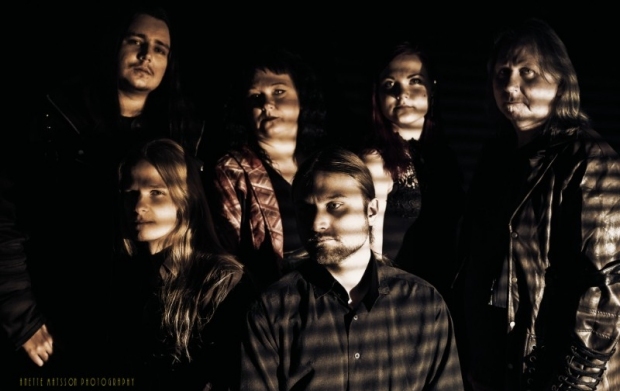 Bad Elephant Music announce that Swedish progressive rock ensemble Introitus have signed with the label for the release of their new album, Shadows, scheduled for early 2019. Shadows is the sequel to 2014’s well received Anima. Once again the band will combine their folk heritage with elements of traditional progressive rock. Shadows will be released on CD and download in 2019. In June Southampton based alt/prog rock duo BirdPen announced the release their new studio album, There’s Something Wrong With Everything, accompanied by This Is Your Life single. Today sees the release of the third single, Eyes In The Sky. There’s Something Wrong With Everything is scheduled for release on 12th October 2018, following which BirdPen head out on tour in support of the album. They have two UK dates later this month, (visit the TPA Gig Guide), before heading off to Europe during November and December. 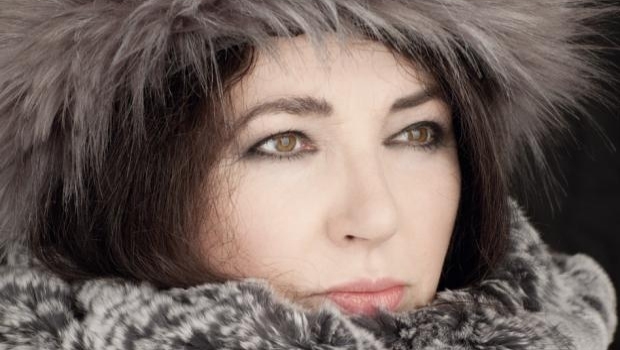 Kate Bush will be releasing remastered versions of her album catalogue on vinyl and CD in November. The vinyl albums, featuring all of her studio albums will be released in four separate boxes. The first two on 16th November and the latter two on 30th November 2018. The two CD box sets, which contain the same tracks, will be staggered and released on the same dates as the vinyl. Taken from the forthcoming Symphonized release, Anneke van Giersbergen performs Your Glorious Light Will Shine – Helsinki, recorded in May this year, with the Residentie Orkest The Hague. Steven Wilson announces an exclusive pre-release cinema screening of Home Invasion: In Concert at the Royal Albert Hall, at the Everyman Cinemas Kings Cross, London on 25th October. The screening will be followed by a Q&A session with yours truly. A very limited number of tickets are now on sale on the Everyman website. Static Motion is represented by Twofold – the title of the track refers to the fact that the main bass riff of the piece is exactly the same as the guitar riff, just played half as fast and two octaves lower). 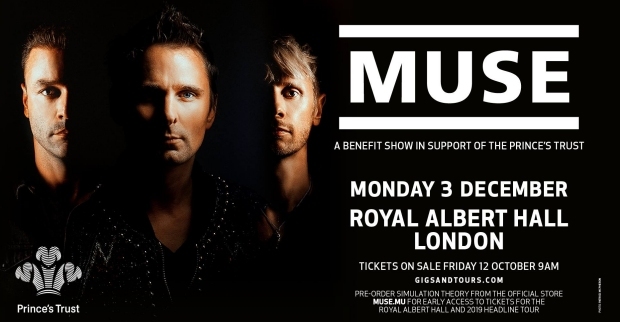 Muse will perform at London’s Royal Albert Hall in support of The Prince’s Trust charity on 3rd December 2018. For those who pre-order the band’s forthcoming Simulation Theory album, by the 7th October, will have early access to tickets for the charity event. A similar offer is in place for those who have already pre-ordered the album. Details can be found on the band’s website. 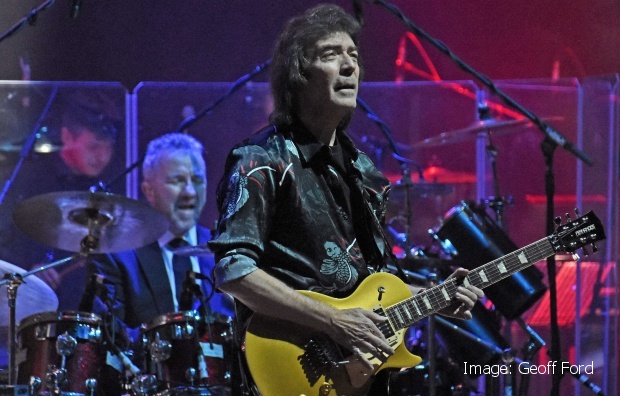 Following on from the previous Steve Hackett announcement of European dates during April and May, comes news that he will undertake a 20 date UK tour in November 2019. 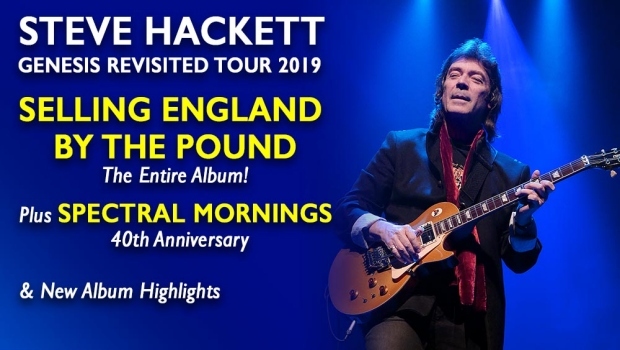 For the first time Steve Hackett will perform the Selling England By The Pound in its entirety, along with tracks from Spectral Mornings, which sees its 40th anniversary in 2019. 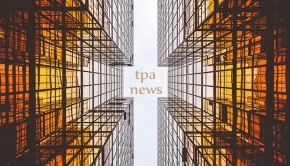 Along with the announcement of the new Tiger Moth Tales’ Story Tellers Part Two album release (see above), comes news of two more albums from the label. The CSides Project are set to release their new concept album 10 Days. The third release from White Knight Records comes from Sweden’s Salva and the release of their fifth album, Off The Deep End. All three albums are scheduled for release on 26th October 2018. Rikard Sjöblom’s Gungfly will release their latest studio album, Friendship, through InsideOut Music on 9th November 2018. Today sees the launch of Ghost of Vanity, the first music to be released from the album. Arjen Lucassen’s Ayreon mark the 20th anniversary of Into The Electric Castle with four special shows at Tilburg’s 013 [NL], on 13th, 14th and two shows on 15th September 2019. The performance will include performances from many of the original cast including: Fish, Anneke van Giersberg, Damian Wilson, Thijs van Leer, Ed Warby, Edward Reekers, Edwin Balogh, George Oosthoe and Arjen. The band will consist of Johan van Stratum (bass), Joost van den Broek (keyboards), Marcel Singor (lead guitar), Ferry Duijsens (guitar), Bob Wijtsma (guitar) and Ben Mathot (violin). Plus special guest vocalists Simone Simons, Mark Jansen, Marcela Bovio and many more. Joe Payne is joined on the EP by Max Read, Duncan McLaughlin and Nic Willes, with the tracks recorded at The Lodge Recording Studios, Northampton. What Is the World Coming To and a reworking of Henry Purcell’s Music For A While from the CD will also be released on digital platforms, however the other five tracks will only be available on the CD.